Let’s not forget it’s Sara Gilbert’s birthday today! It’s a good thing I noticed a tweet from Melissa Gilbert reminding everyone that today is her little sister’s birthday. 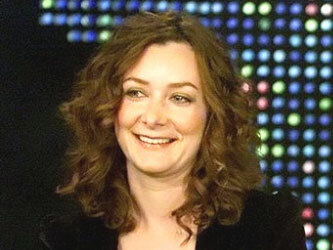 That little sister happens to be Sara Gilbert, current co-host of The Talk and an alum of the long-running sitcom Roseanne. Sara is dating musician Linda Perry and actually talked about it a little bit on The Talk. When I chatted with Sara in summer 2010 about the show, she had just begun to publicly talk about being a lesbian. RT @TheRealRoseanne dear miss daughter sara on her bday: thank u for creating a new way for girls to see themselves. GOOD JOB! #iloveu R.